Register now for the BIOECONFIN Tour 2018, where bio experts Filippo Martinelli and Orsolya Foldesi from our exploitation partner team PNO Consultants visit chemical or dairy locations in Eastern Europe from Monday 14 to Friday 18 of May 2018. During the visit, you will have the chance to present your company and project to bio-experts. 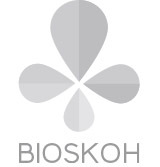 At the same time, you can gain a deeper understanding of the bioeconomy, the current trends and challenges in the field and learn about three successful EU funded projects, BIOSKOH, AgriChemWhey and BioLinX. WHY BOOK A BIOECONFIN EAST VISIT? The projects leading event received funding from the Bio Based Industries Joint Undertaking under the European Union’s Horizon 2020 research and innovation programme under grant agreements 709557 and 652692 and 744310.